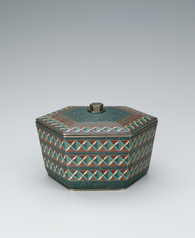 Oval incense burner with cloisonne. 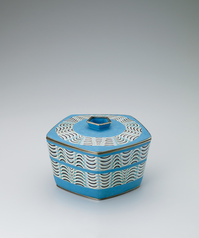 Cloisonne covered vessel with wave design. 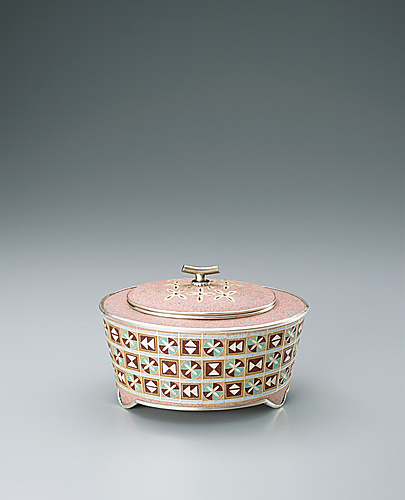 Cloisonne box with flower design.